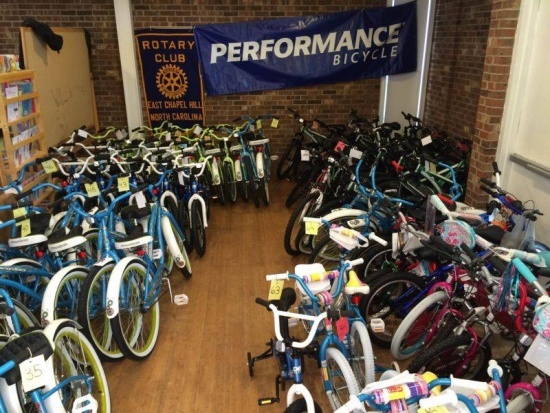 Working with the Chapel Hill Service League through their Christmas House, our club gives bicycles to needy children in Chapel Hill. 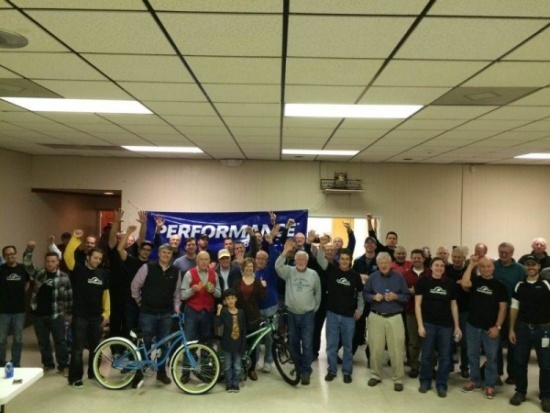 Each December we gather to assemble the bikes with a bit (ok a lot) of professional help from the Performance team. Beginning more than a decade ago with a few used bicycles donated by our members, Bike Night continues to grow—now to more than 100 bicycles each year. The bicycles are for boys and girls of all ages. We follow up with a team at Christmas House helping the families choose the right bike.